A Muddy Buddy is a purple creature in Super Mario World 2: Yoshi's Island. When it comes into contact with the Yoshi, it will stick to his feet, allowing him to safely traverse over spikes. Yoshi can stop riding it with a Ground Pound. Unlike Poochy, another rideable creature, Yoshi can control the Muddy Buddy. 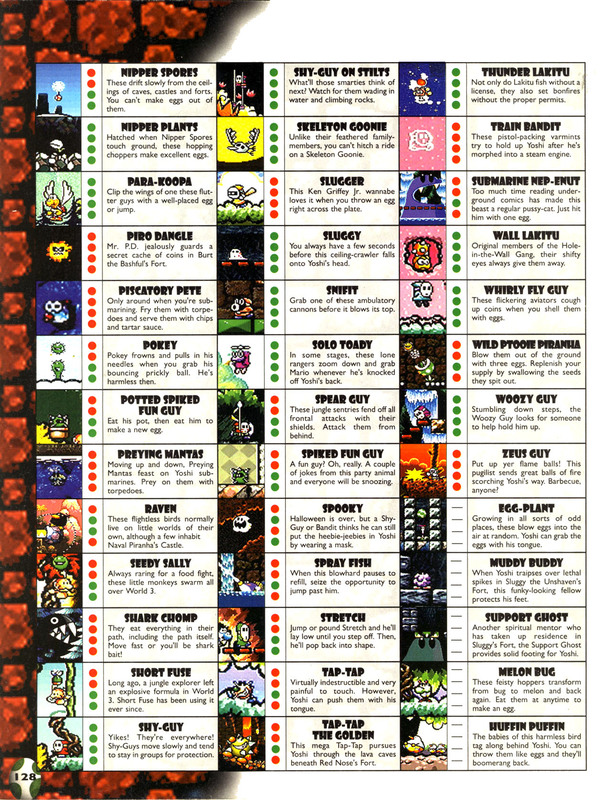 Only one Muddy Buddy appears in Super Mario World 2: Yoshi's Island. It is located in Level 5-4, Sluggy The Unshaven's Fort. In Yoshi's Island: Super Mario Advance 3, it also appears in Secret 2, Mystery of the Castle? The Muddy Buddy was replaced by the Kangaroo in Yoshi's Island DS. 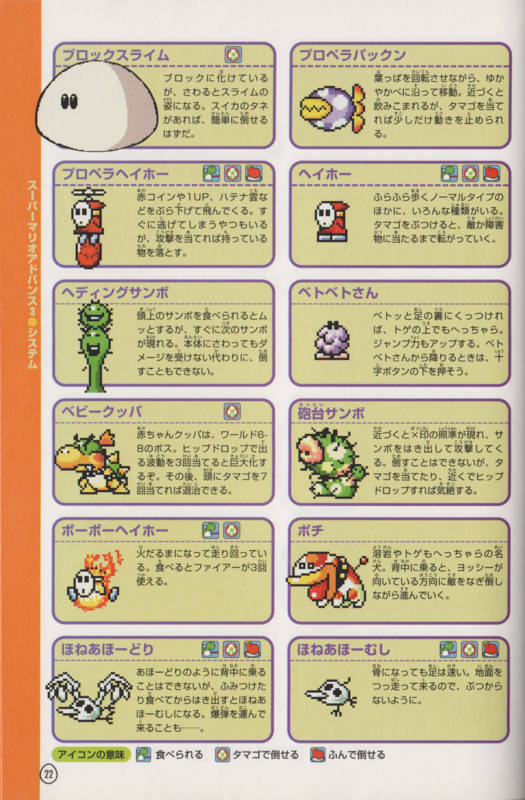 ↑ 「スーパーマリオアドバンス3任天堂公式ガイドブック」 (Super Mario Advance 3 Nintendo Kōshiki Guidebook), page 22. This page was last edited on September 25, 2018, at 14:00.